A shot of wheatgrass does the body good. Probably one of the best things about being a journalist is often times the free food samples or promotional swag a source will offer to you while reporting on their business or venture. In my 13 years of journalism, I’ve definitely had my fair share of great food and promotional swag. From music albums by musicians I’ve reviewed to a free lunch on the house by a gracious restaurateur I’ve spotlighted in the pages of a community business paper or magazine, what comes my way while promoting businesses and artists has always been a welcome perk. So, it was no different today when I visited Marlene’s Natural Foods Market & Deli in Tacoma. The story I’m writing on Marlene’s is about the natural foods store’s 40th anniversary. The company started as a small storefront in Federal Way along Pacific Highway South on April 1, 1976. Today, the company has two storefronts: one at the Gateway Center in Federal Way and the other on S. 38th Street in Tacoma. To say it mildly, what I learned about Marlene’s and what I saw in their store from the standard non-GMO beef down to the not-so-well-known cricket flour (an alternative to wheat flour for baking, if you’re wondering) was eye-opening. One of the perks of being an employee at Marlene’s is a free, daily shot of wheatgrass. 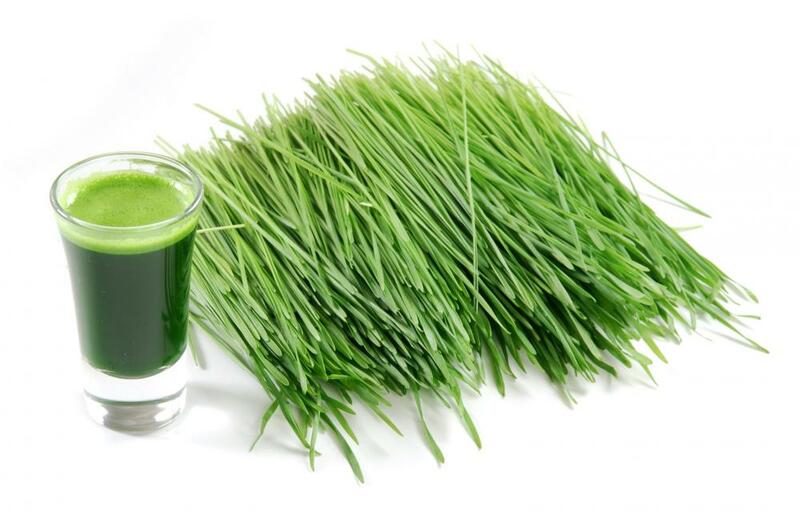 Wheatgrass is literally grass distilled to a nutrient-rich liquid. It’s a cleanser for the body, and helps to enrich your body’s blood supply. It’s been reported to fight off cancers. Lately, I’d been giving my wife a hard time about her green (produce-enriched) shake. So, here I was faced with wheat grass. What did I do? I downed it in one shot, of course. Suffice to say, for the next few hours I had an earthy taste in my mouth. But, at the same time, I felt healthier–like I just did something good for my body. So, whether it’s a new music album release or an unexpected shot of nature’s nutrient-rich shake, I say, “Bring it on!” And don’t be afraid to try some wheatgrass on your next visit to Marlene’s. Your body will thank you.